October 7th 2012 was a significant day for me. 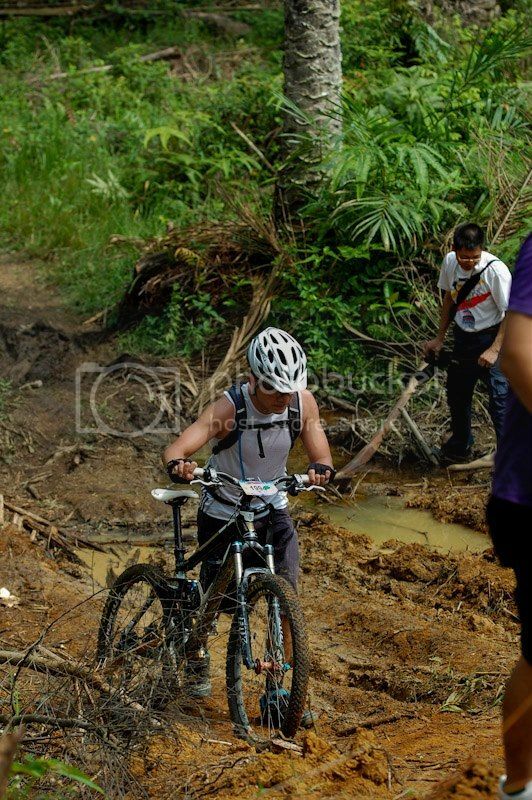 Not only it was my first XC race, it was also my first 'International' race - The Johor Bahru Jamboree 2012 held at Bandar Dato Onn. 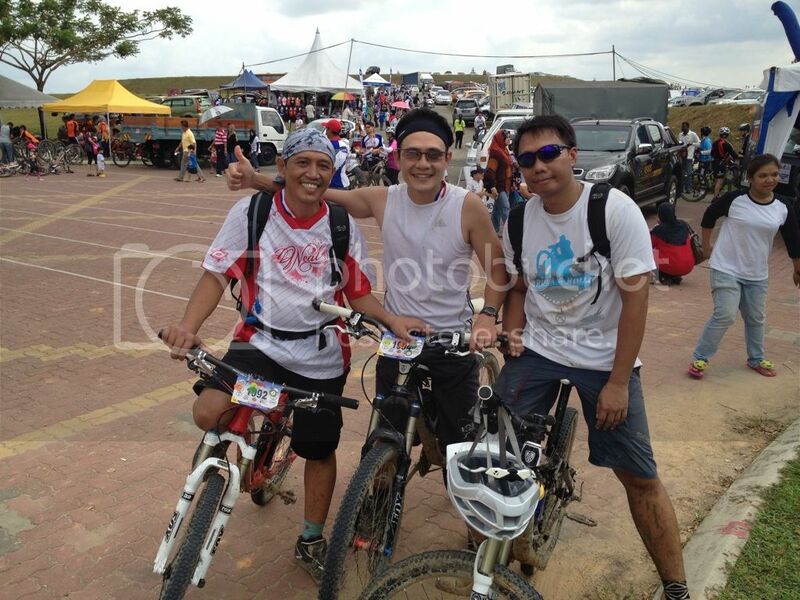 Thanks to my rider's mate Halil, who encouraged Desmond and myself to participate. Many of my rider's mates from Rock and Rolla (RnR) group had participated, and getting into top 100 is the unwritten norm for the group. As the number of participants then was about 400, this work out to be about top 25%. This became the target for members of RnR who have yet to compete in Jamboreen. 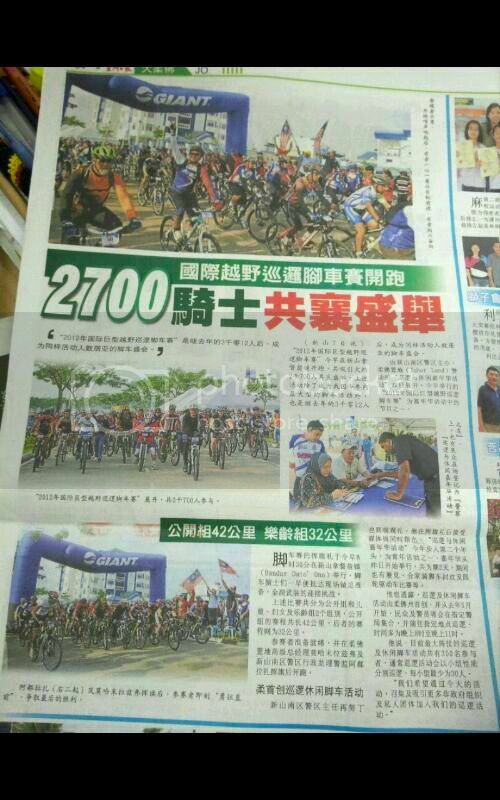 To our surprise, the number of participants had shot up to about 2,700 riders on the day of the event! The participants came from all over the globe, including Malaysians, Singaporeans, Indonesians, Philippines, Americans, Australians, New Zealanders and more. 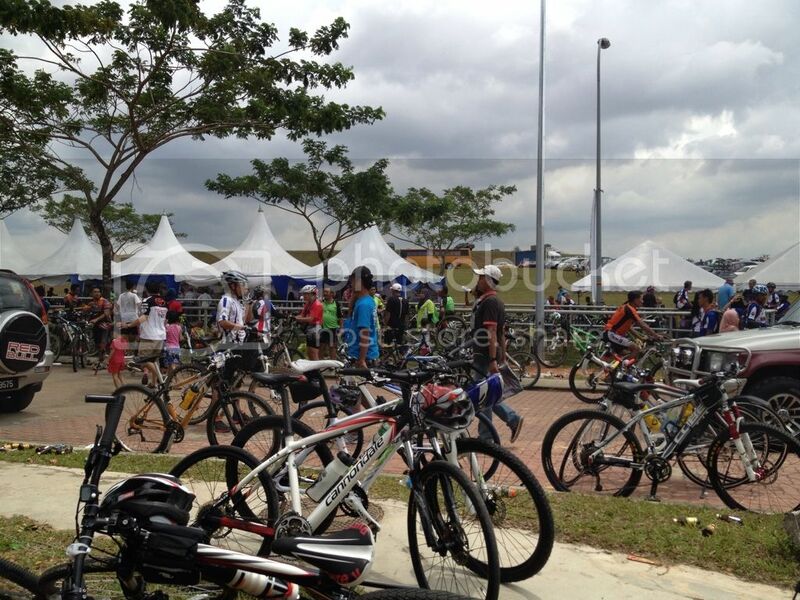 The participants included professionals such as Singapore National rider, seasoned riders and novice riders. The number of participants in the men open's category is more than 2,000, considering my number tag for the race is 1994 and Desmond 1995. To achieve top 25%, I needed to finish at least 500th position, that was my target. Desmond drove to my house at 5.15am, and we went to Woodland in one car to meet with Halil and Abdillah at 6.00am. 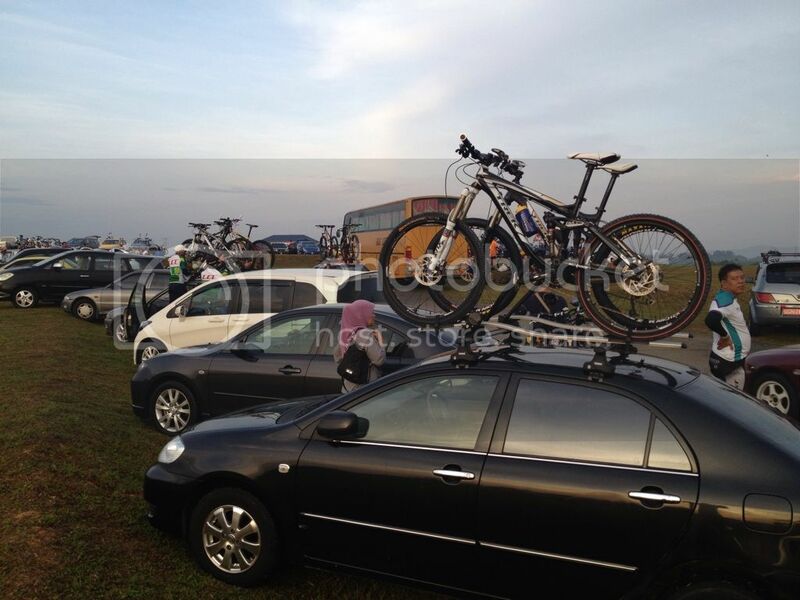 As the Jamboree race would start at 8.30am, we planned to reach the destination in Malaysia by 7.30am. 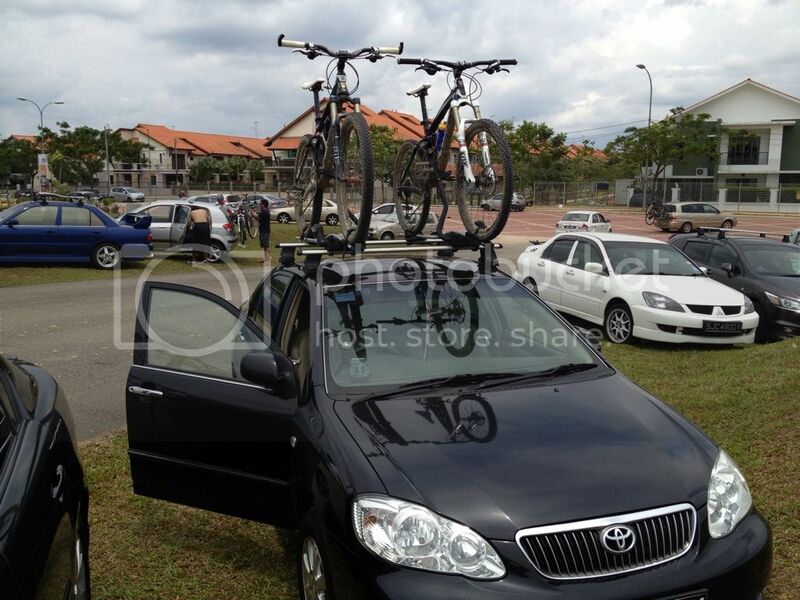 For those who plan to drive into Malaysia with car roof rack, be cautious not to hit the bikes against the custom security camera and sign board. To play safe, you may want to take the truck's lane if the queue was not too long. We met a group of Singaporeans who also participated in the Jamboreen at the Shell petrol station just after the custom check point in Johor. As we were not familiar with the road, the group agreed to let us join in the convoy. It is always nice to meet Singaporeans in foreign land. We arrived at Bandar Dato Onn about 7.30am. The field was already filled up with cars, we were lucky to get parking space just after the entrance.The atmosphere was great! The weather was nice and sunny, perfect for the race. Our spirit were high and we were all geared up to rock! 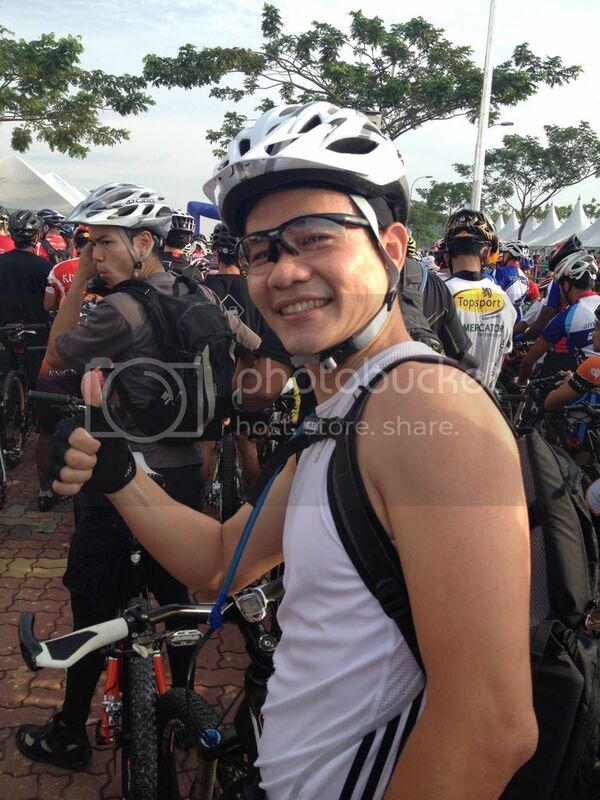 While waiting at the start line, I was happy to see many familiar faces who use to ride at Bukit Timah trails in Singapore. My Pilipino friends, the RideBrothers and members of the Se7en group were there too. 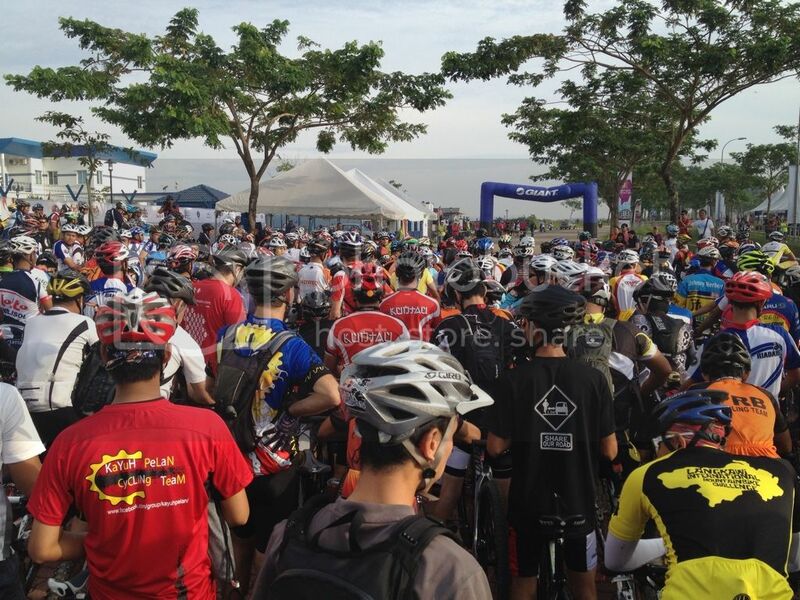 We were fortunate or unfortunate to queue in the middle of 2,700 riders. Those who managed to squeeze in the front line would have more competitive advantage than the rest. Imaging thousands of riders waiting to squeeze into the trails. We waited in the start line for more than half an hour before we were flagged off! The total distance for veterans and women was about 35km, while men's open was about 45km. 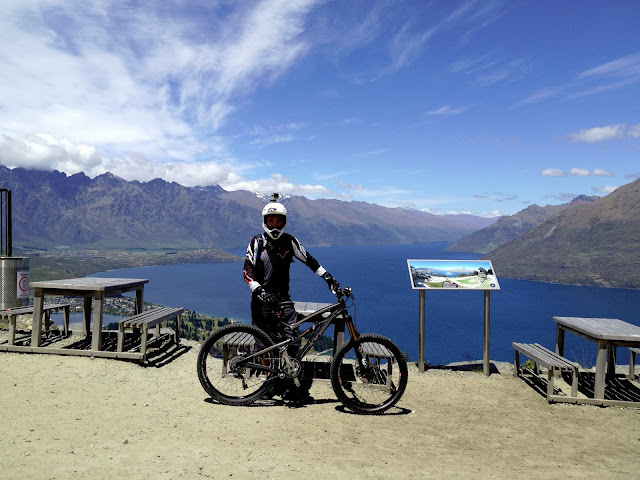 The route included 10km of road riding, about 20km to 25km of fire trails, climbs and gradual downhill, followed by about 5km to 10km of single track for the men's open category. The climbs were long and dreadful. As the climbs were more than downhill, it provided opportunity for the strong to overtake the weak. I managed to overtake quite a number of 29ers on the climb, who overtook me on the flat. 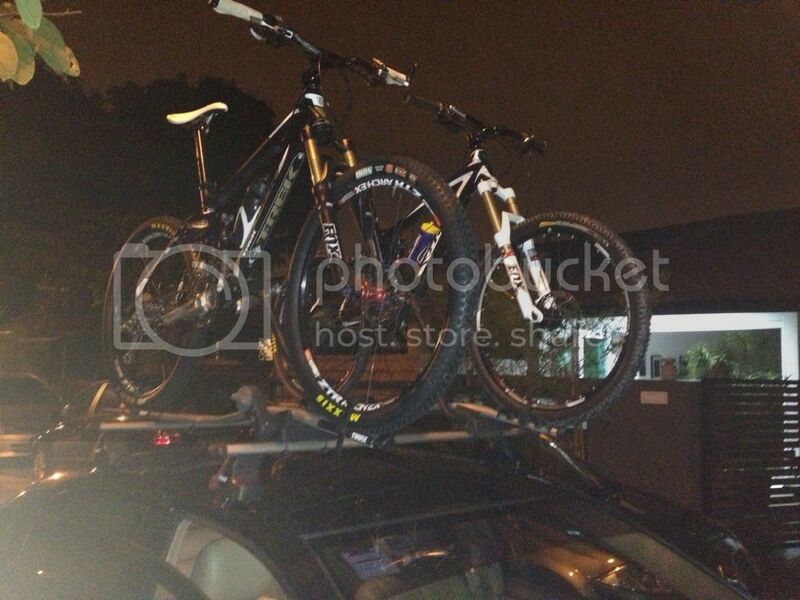 I think 29ers were more suitable for strong and tall riders to take advantage of the larger wheels. Not so for the weak and shorter riders. This is one section that was challenging to ride. It was extremely muddy with pockets of water all over. 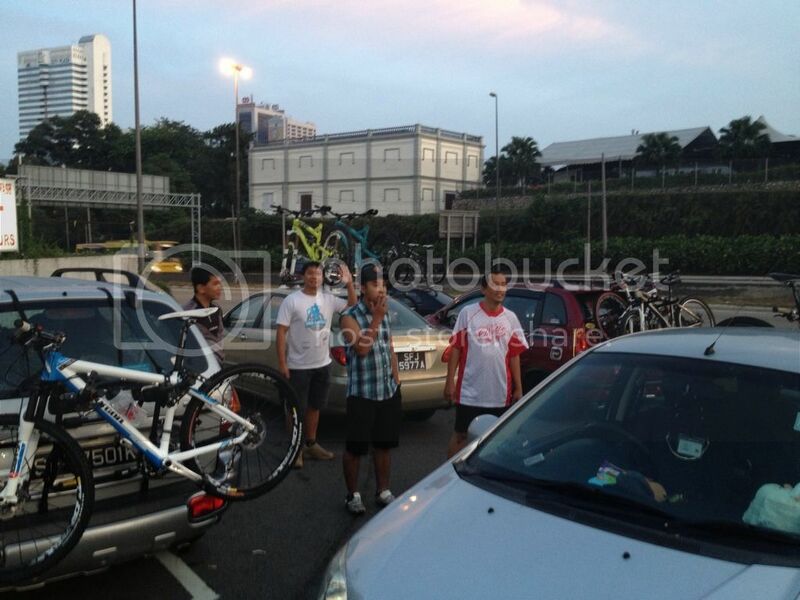 However, attempt to ride was proven impossible as the path was blocked by riders pushing the bikes. 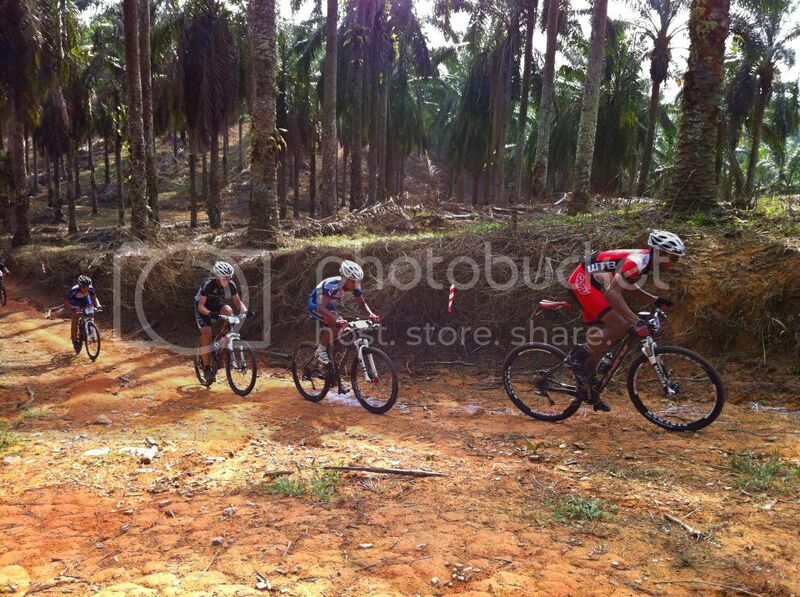 The flow was better after 2nd check-point as most of the weaker riders either left behind or gave up. After the 3rd check-point, I stopped sideway to spray muscular pain relief liquid on my thighs as I felt the cramp was coming. I also missed a turn and went the wrong way, which caused me substantial time. 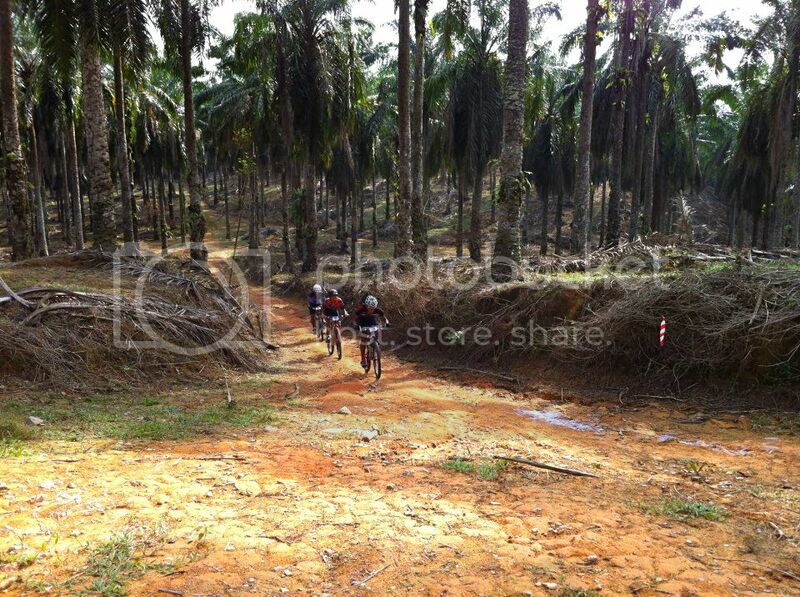 Towards finish line, the trails were like war zone. 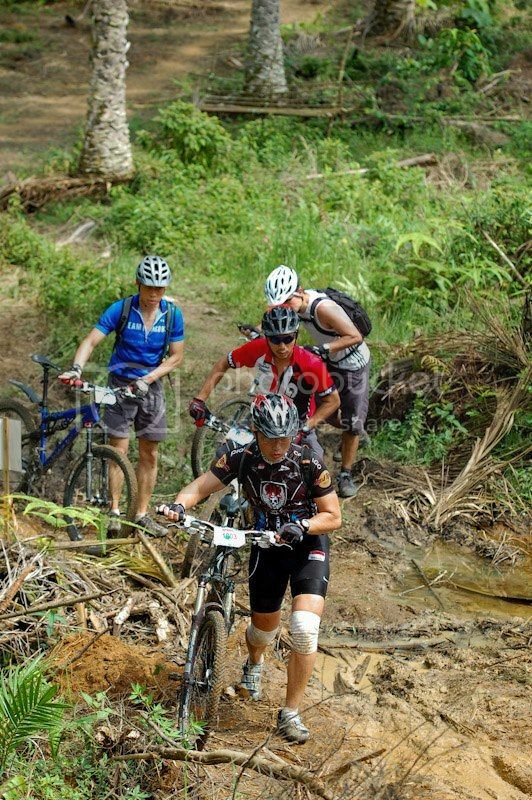 Riders lying on trails groaning in pain from leg cramp, others staggered and pushed the bikes. This Jamboree was my first XC endurance ride. 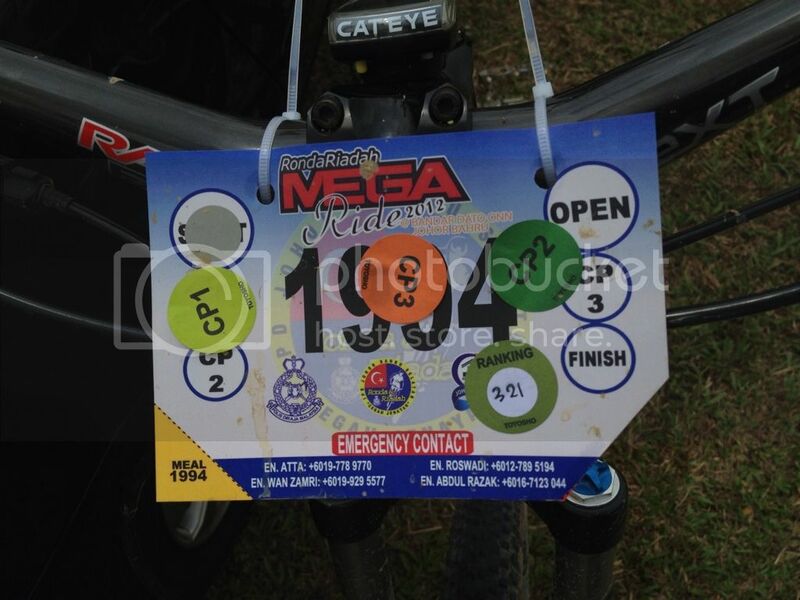 I was happy to finish 321 position out of over 2,000 riders in the men's open category. It represents top 16%, much better than my target of top 25%. 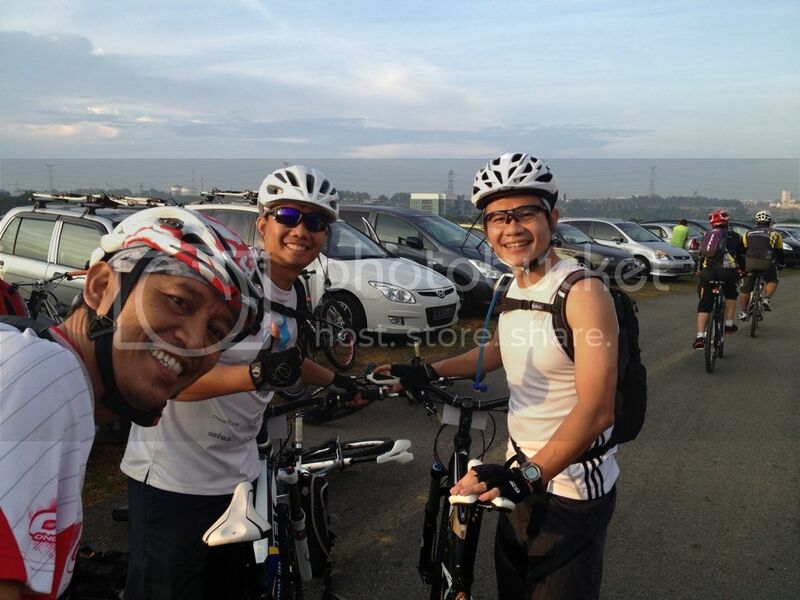 I finished the 45km ride in about 2hrs and 50 minutes. The maximum speed recorded in my odometer was 44.4km/hr. I think it was the downhill ride after the 3rd check-point. 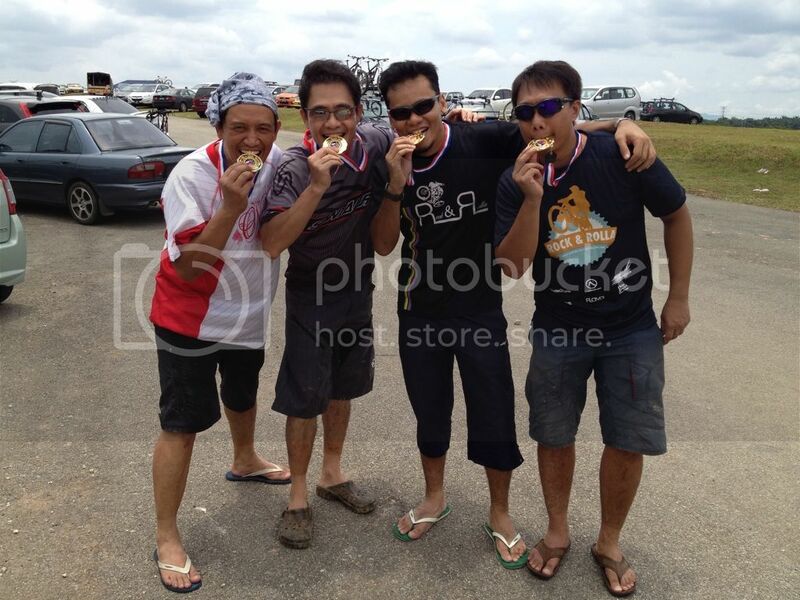 Abdillah (2nd from right) finished 174th position despite suffering from a flat tire. An awesome top 8.7%! He would have easily taken top 50th position if his tire did not fail him. My respect to Abdillah! Halil (left) finished almost similar as I at 330 position, very respectable consider he is 5 years wiser than me. Halil is a consistent and steady rider, I learned a lot from him about riding. Desmond (right) was suffering from toe injury before the race. 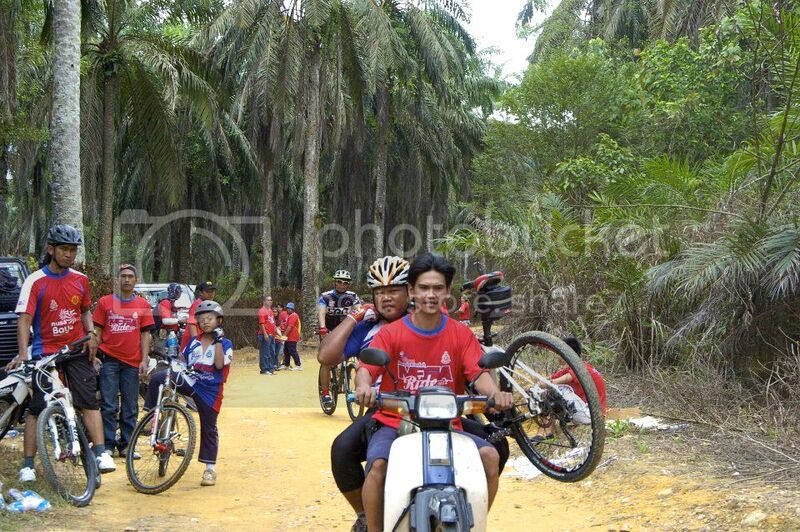 He was the only rider on long travel bike. To make matter worse, he went one kilometre off course. Despite of all these, he persisted and finished top 20% at 400 position. He earned my respect. We celebrated the completion of Jamboree! The gold medals are made of plastic..it looks like genuine gold. Three of us were looking for each other when we passed the finish line. It took us awhile to find each other as the venue was huge and congested. Glad to reunite...a shot for memory. I was surprise to see many branded bikes broke down during the race: broken chain, flat tire, gear problem and jammed hubs. My proven workhorse was tested and never failed me during the endurance race. 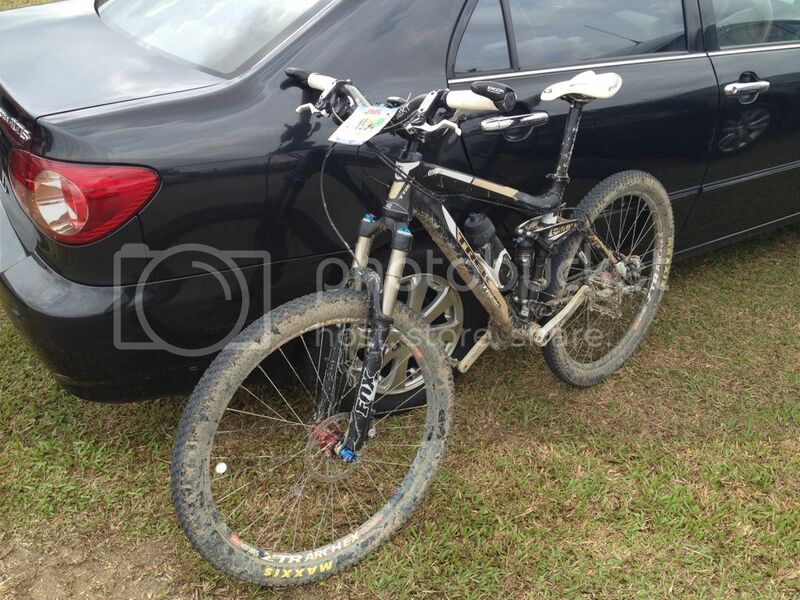 Trek fuel with Shimano XT components, Fox fork & shock, and Hope Pro hubs with Stans Arch rims. I made the right decision to get my bike done by my favorite mechanic Winson before the race. 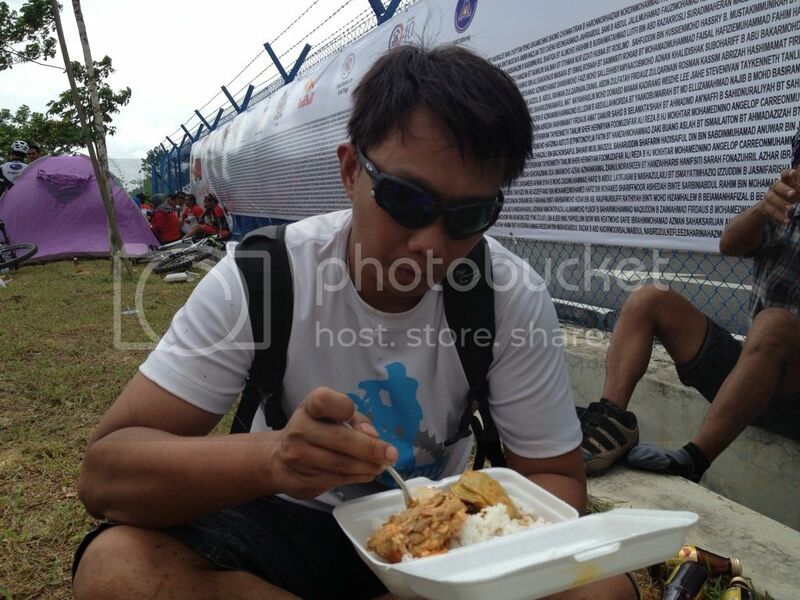 Desmond was enjoying his long deserving meal after the ride. 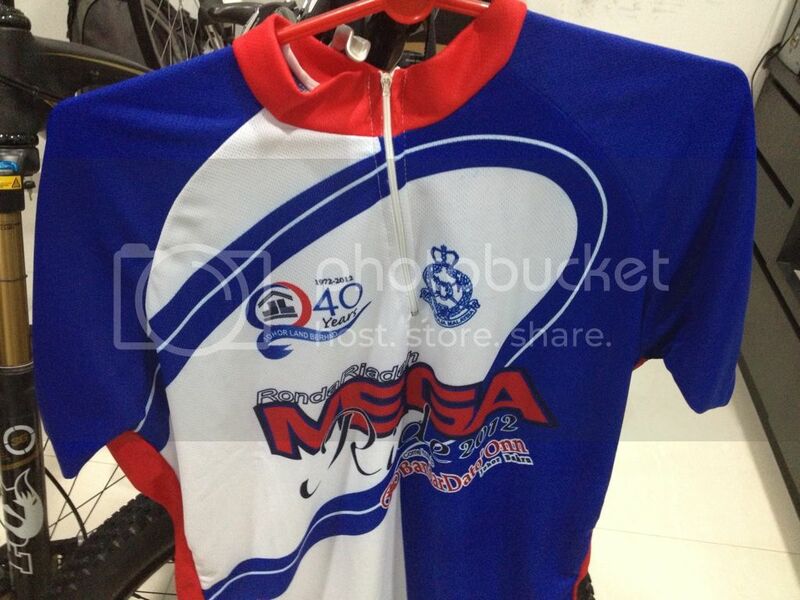 The ride came with free meal, satay, drinks and jersey. All that for only about S$30, not a bad deal indeed. The atmosphere was great. The lucky draw for the event is a brand new truck that worth over $20,000. This might be the reason why the event was so successful. This is the jersey that came with the goody bag. All participants earned it. Time to head home. We had a great time. See you next year Jamboree!